Luckily, gin fans have plenty of choice here in Yorkshire with a wealth of bars serving a host of exciting gin infused tipples. Spread across two floors, with a large outdoor area, this characterful watering hole prides itself on its great selection of craft beers and gin and tonics. For something with a bit of zest try the Waterlane Gin cocktail. The bar's 'Gin Bible' features 89 different gins to choose from, including Hendricks, Portobello Road, Star of Bombay and Sir Robin of Locksley, and the chic jazz lounge offers the perfect spot to relax. 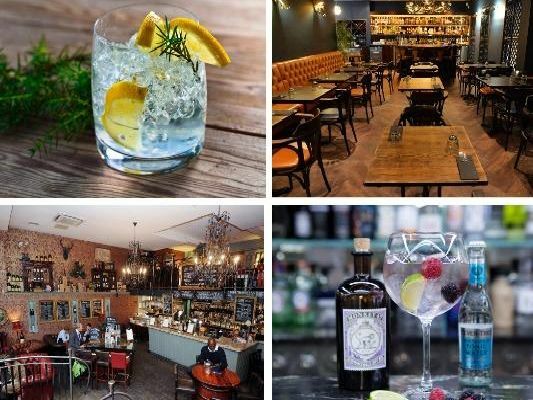 This boutique gin bar in the heart of Halifax aims to offer customers a modern style of gin drinking in the enchanting setting at The Piece Hall, offering around 60 different brands to try and a warm welcome. Known for its secretive location and speakeasy style, The Maven is a stylish drinking den offering some of the most creative cocktails in the city, and youll find an impressive array of gin infused tipples to enjoy.